Meetings are held on Thursday evening at 7:00 pm in Mack Hall. All women of the parish, married or not, are invited to attend. 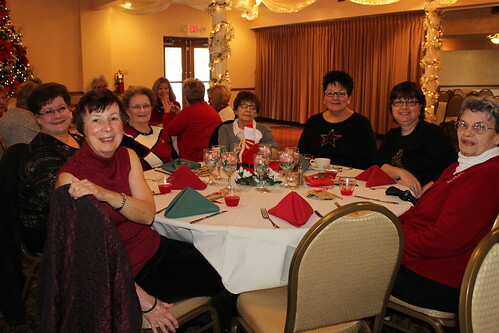 Our membership committee consists of EVERY current member. With that in mind, don’t be surprised if the person sitting next to you at Mass asks if you are interested in the Confraternity! 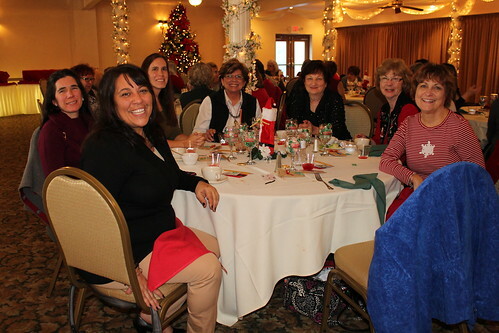 The 2015 annual Christmas party at Banquets Unlimited was a hit! 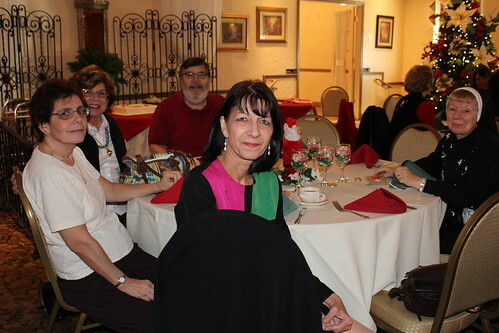 Our meeting date on February 26, 2015, featured Mrs. Allison Shipley, one of our parishioners. Allison will shared with us her inspirations and information from her many visits to Medjugorje, in Bosnia-Herzegovina. 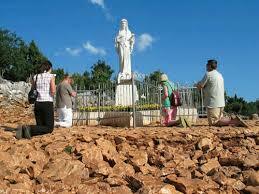 She has made nine visits to this village where Our Blessed Mother has appeared to six visionaries. Banner – Many thanks to Judy Gazda for the beautiful new Christian Mothers Banner that she created! 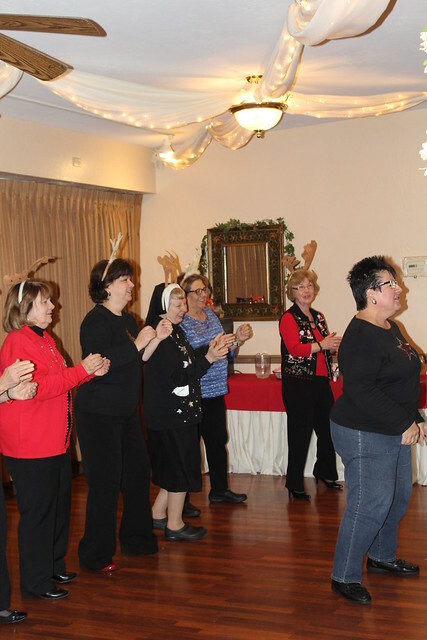 Christmas Party – A fun time was had by all at the annual Christmas Party 2014 held at Rodneys. 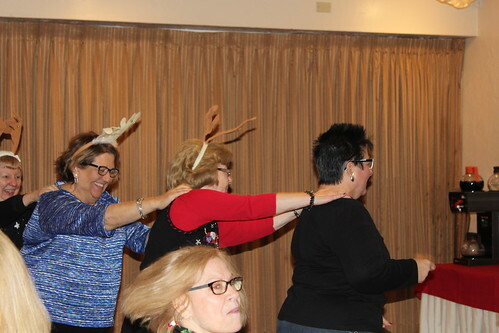 The highlight was a group sing along to the “12 Days of Christmas”. Did you know…Christian Mothers is about ready to distribute the 50 throw blankets made as a result of “The Cover of Many Colors” project? Our gratitude is extended to all those within our parish family, friends, and extended family members who contributed. Every effort has been appreciated. More often than not people have dropped off yarn, patches, and finished blankets with no note. This charity has not gone unnoticed. Thanks a million! Father Len blessed the covers on Sunday, Dec 14 at the 11:00 Mass. Christmas is such a joyful time of the year to give these gifts. Everyone of the covers was made to be given to a Christian Mother who is unable to get out of their residence, someone in a nursing home, a wheelchair bound person, or perhaps a military veteran. It is meant as a gift of love and will hopefully share the thought that they have not been forgotten. If you are aware of someone who would appreciate a cover, please let a member of Christian Mothers know or call Tammy at 412-638-4296 or Anita at 412-888-6908. Please consider joining us in January when Christian Mothers will once again begin another round of knitting and crocheting for The Cover of Many Colors. 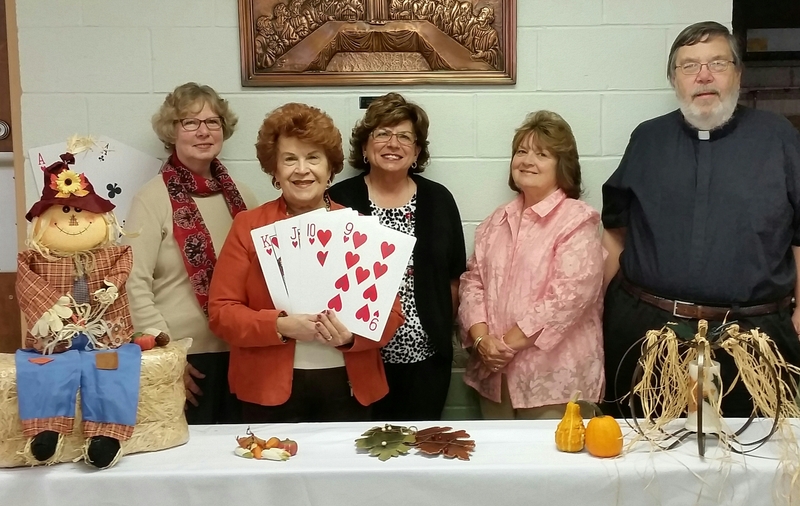 Card party – Our Fall and Spring Card Parties generate not only entertainment and excitement, but result in our ability to give two scholarships, gifts, and recognition to our First Communicants as well as numerous donations to local organizations. Thanks to the several generous parish family members who have contributed many skeins of yarn for the Cover of Many Colors project. This new collection of yarn is offered to anyone wishing to knit or crochet a blanket. Congratulations to our Christian Mothers & Guild as they celebrated their 35th Anniversary as a Confraternity. A celebration Mass was held on September 7 at the 11:00 Mass, followed by a luncheon in Mack Hall. The Mass was concelebrated with Father Angelus Shaughnessy, the National Executive Director of the Arch confraternity of Christian Mothers in the United States. Cover of Many Colors Project – Please extend yourself and help Christian Mothers with the Cover of Many Colors project. The basket in the vestibule of the church contains yarn that may be used to make these blankets. The “Cover of Many colors” is a new project where we will be making lap blankets for nearby residents in senior care homes, home bound friends, and veterans. Needed is #4 medium yarn and also people to crochet the granny patches (4×4 inches or 3 rows of granny stitches). These are then stitched together to form a 36 x 40 inch throw trimmed with a lovely edge. If you are interested in helping, either to crochet or to teach others to crochet, or even to purchase the yarn, please contact Tammy Holleran at 412-638-4296.